Pneumonia is an infection of the lungs, which is caused by micro organisms such as viruses, bacteria, fungi and parasites that travel to the lungs. Pneumonia is the sixth leading cause of death in the United States. Pneumonia begins with the upper respiratory tract becoming infected. The air sacs then fill up with pus and mucus. This inflammation causes lungs to become less stretchy and also keeps oxygen from properly reaching the blood stream. When this occurs, symptoms usually follow two to three days later. Reoccurrence of pneumonia is very common. Many people tend to become infected three to four times over the course of a couple years. Symptoms of pneumonia vary on the age of the patient and cause of pneumonia. 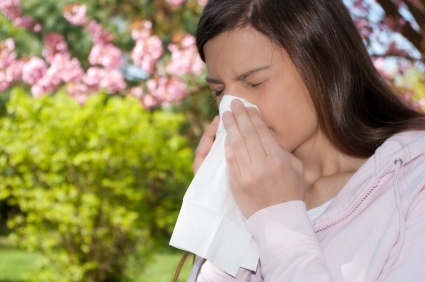 A symptoms of pneumonia in adults are shaking chills, which is followed by a quick fever. Pneumonia has many different causes. It can be caught from breathing in food, liquid, chemicals, and dust. It can then either affect a section of the lung (lobar pneumonia) or affect the lung in patches around the tube which brings in oxygen (bronchial pneumonia). A doctor who suspects pneumonia begins by performing a physical examination and by taking a thorough look into the patientâ€™s medical history.